Two minor traffic stops that resulted in arrests in New Jersey have spurred a pair of lawsuits that claim that the New Jersey Attorney General and two local police departments have violated the Americans With Disabilities Act by not providing sign language interpreting for deaf motorists. One of the plaintiff’s was pulled over by a Toms Rivers police officer for a traffic stop in 2012 and was ticketed. He alleges he tried to explain to the officer that he was deaf, but had no way of communicating with him. 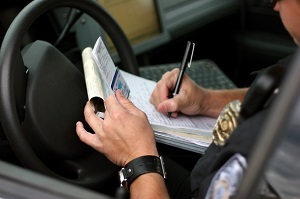 After being issued a ticket, the plaintiff attempted to exit his car, but was then arrested. Once at the police station he claims he asked for a sign language interpreter and was not given one. He contends he could not contact his family or a lawyer because the station had no videophone. He spent the night at the Ocean County Jail. Another plaintiff is suing the Old Bridge police department and the Attorney General. The man is hearing-impaired and has cerebral palsy, which gives him an unsteady gait and causes tremors. He claims the officer who stopped him asked him to perform a field sobriety test. Because he couldn’t perform the test and refused to do so, he was arrested on suspicion of drunken driving. Once at the station, he refused to take a breath test and was handed a refusal form but allegedly couldn’t read it because he didn’t have his reading glasses and his English proficiency is limited. He claims he could have understood a sign language version of the form, but there was none to look at. The Attorney General currently provides both written and audio versions of that form in 10 different languages, but currently offers no video version of the form in American Sign Language. The state of New Jersey and Old Bridge have filed motions to dismiss that lawsuit, claiming that the circumstances in this case were so rare that the state could be forgiven for not having a sign language video of the form available. Toms River Police Department and the Ocean County Jail have refused to comment on the lawsuit filed against them. A simple lack of communication can sometimes lead to large miscarriages of justice. Let the criminal defense attorneys at Lubiner, Schmidt & Palumbo look at your case to determine if you have been treated fairly and whether your legal rights have been fully protected. Call us at (844) 288-7978 or contact us online today for a free review of your case.